The new card is a legendary neutral Minion card. Another Knights of the Frozen Throne card has been revealed. 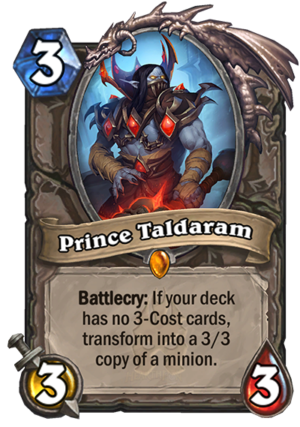 The next Hearthstone card is Prince Taldaram—a three-mana legendary neutral Minion card announced on HearthPwn. “Battlecry: If your deck has no three-cost cards, transform into a 3/3 copy of a minion,” the text reads. Prince Taldaram has plenty of good combination potential. Copying powerful cards like Leeroy Jenkins or Malygos makes Prince Taldaram pretty strong, but it’s still a heavy cost to sacrifice three mana cards. 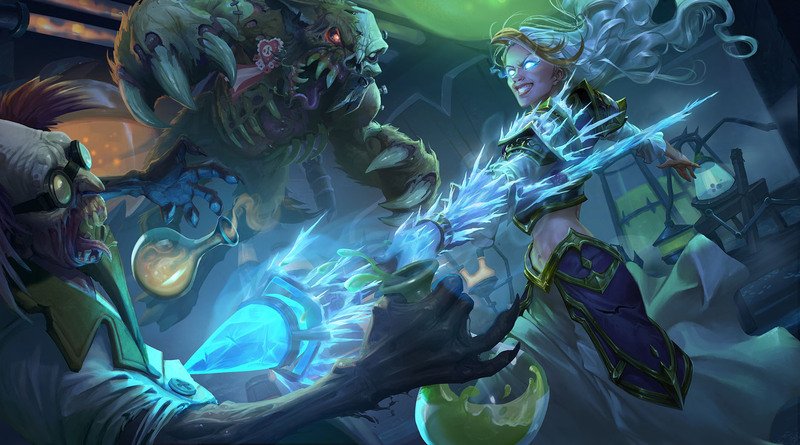 Hearthstone’s card reveal season has kicked off with a big start. Prince Taldaram is the fourth card to be revealed today, following Warlock legendary Blood-Queen Lana’thel. There are 135 Knights of the Frozen Throne cards coming to the expansion, so we’ve still got a long way to go until we’ve seen the full set.